OT Tori - gorgeous pattern with a stylish design from the developers of the famous studio OmegaTheme. Template is powered by Solid Framework, contains 14 module positions, has a well-commented CSS files and PHP, for easy configuration template. Classical structure template makes it easy to change the design and layout to give a unique look to any project. Easy to install and work with him is a pleasure. 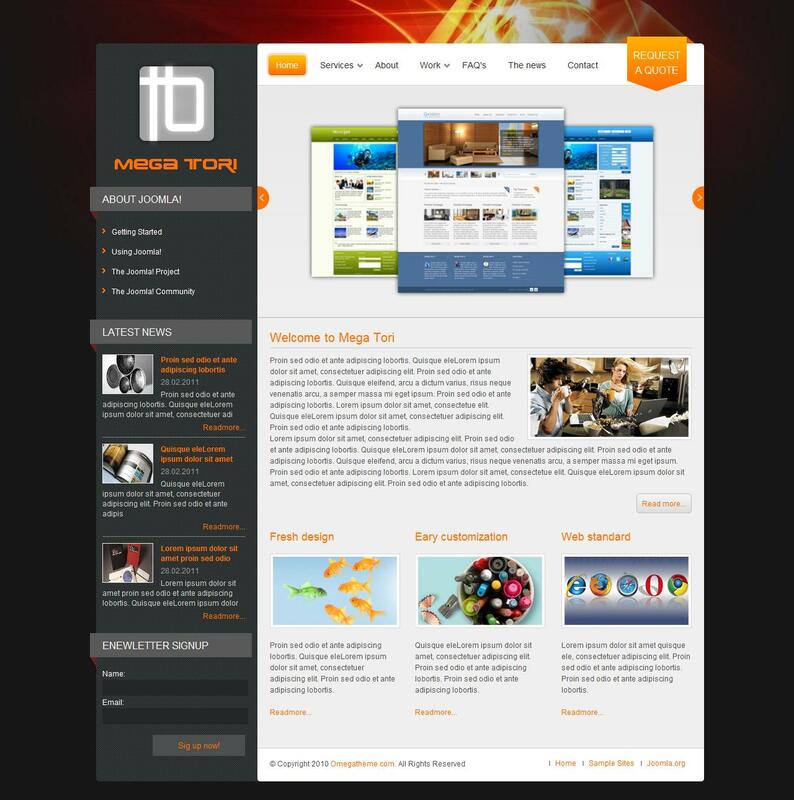 OT Tori is compatible with all modern browsers and Joomla 2.5.